The 2nd round of the Extreme Speed Roadster cup had just passed on the 22nd of February. There were countless of cars that day and of course the typical miatas were there. It was a “track day bro” as said on the regular car reviews. Along with the 2nd round of the Roadster cup, It was also the 1st round of the Redline Time Attack Series for 2014. There were a ton of cars that ranged from rental looking stock cars, up to the heavily modified full on time attack cars. Clearly the miatas were at a disadvantage, but I made the best of it. The day was packed and things were heating up on the track. A little Track etiquette to the Start/Finnish Flagger. 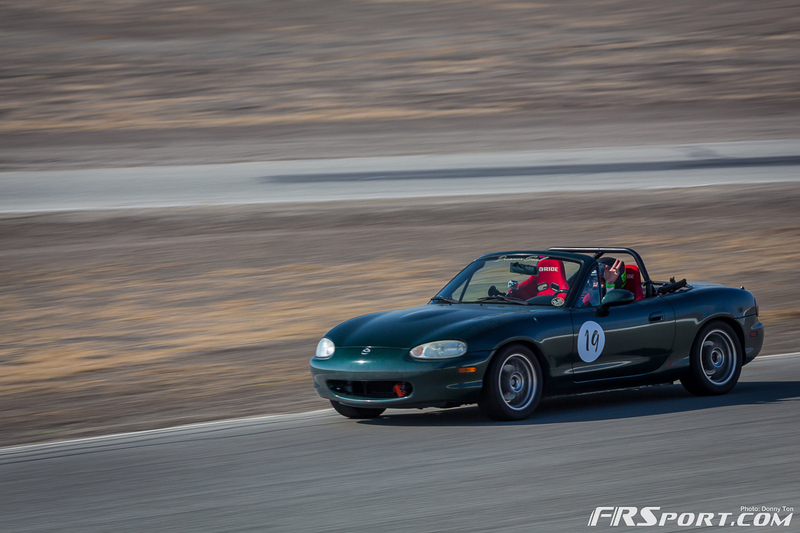 This was going to be my first time on Buttonwillow Raceway in a Miata. I’ve driven the track before but that was 2 years ago, along with the event being driven while it was pouring rain; almost as bad as the rainstorm we just had this past weekend. Just to give it some thought, I don’t have many track days under my belt, as I am still in the grassroots mode and learning the car and car control. I can literally count how many track days I’ve had with my own fingers. And yes, I can count. You could say, I am the noob in the group. So Pulling up to the grid, in the first session, my stomach was full of butterflies! I thought I was going to throw up in my helmet. So they finally set me off and boom, the first thing that comes to my mind was “don’t spin Bench, DONT SPIN!” I swear I thought I was going to spin on the out lap, but with all the stars aligning, I did not spin. I became more comfortable as the session went on, and as I reach the cool down lap, I realize, this track is AMAZING! No Wonder they use it for the last round of almost every time attack series! Comfortability is Key to Carrying Speed in a Momentum Car. Initially, I came to drive BRP to just become familiar with the track, have fun with my friends and not really chase for time. But after setting a personal best during my first session, I saw that i was only 2 seconds from my goal of getting into the ‘teens. (no pun intended) Each session, I shaved at least a second and by the 3rd Green run group session, I clock in a time of 2:18.389. I was ecstatic! 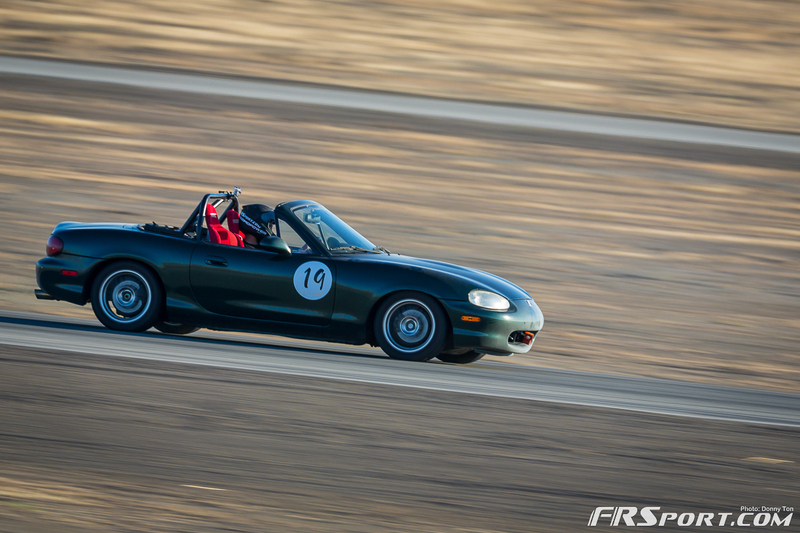 Not only did I Hit the goal, the time was fast enough to place me 2nd in Enthusiast Class for the XS Roadster Cup. Throughout the rest of the day, I encouraged other drivers in my class to “try and beat my time” except I really didn’t want them to beat my time. Hehe. By the end of the day, I ended up keeping my 2nd place in Enthusiast Class and I went home feeling amazing.